I'll cut to the point! 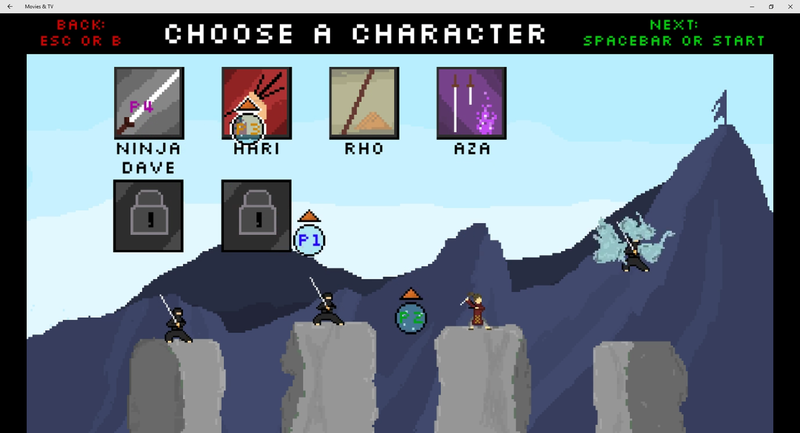 You need a new couch game. 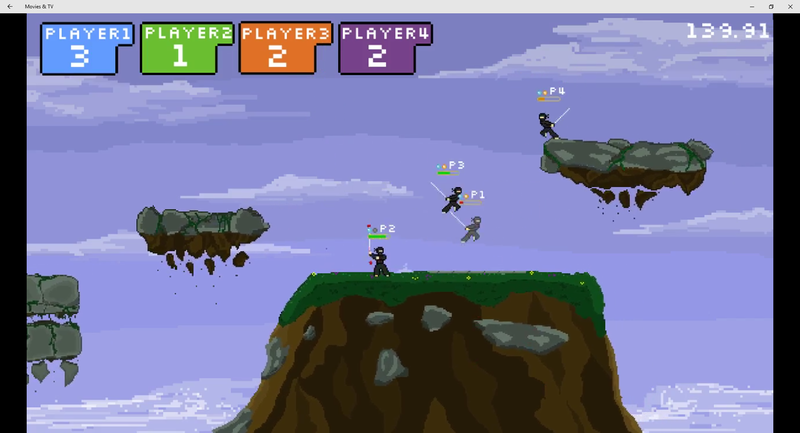 Smash Brothers is too expensive and/or too hard (it's okay). 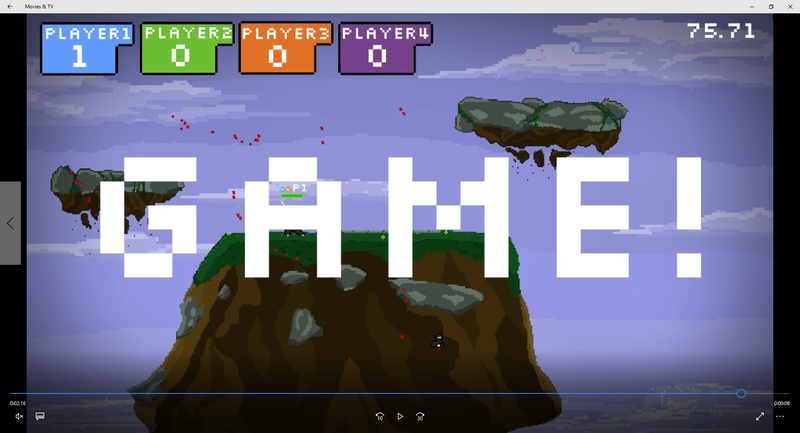 Your friend is not good at video games, or you're trying to teach someone how to use a controller. Download this game, plug in an Xbox controller or two, and have a blast with your buddies in a hilarious local multiplayer smash up! Before anything else, this game is simple. 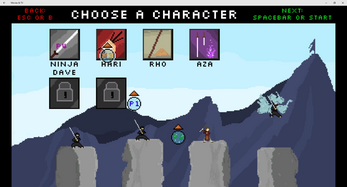 Two maps, four characters, each with only two moves and a dodge. 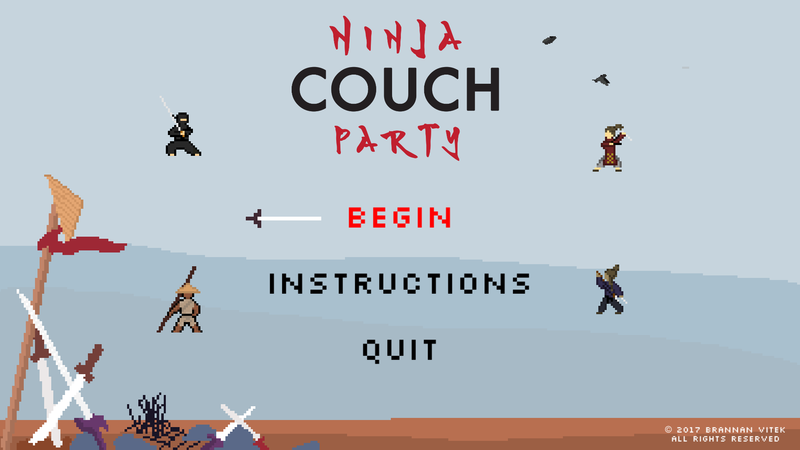 Ninja Couch Party is the perfect fighter for that budding gamer in your life. It's cute, it's fun, and it's low stress. 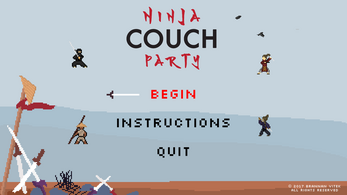 There's not that many simple local multiplayer games anymore, and that's exactly why I spent the past 11 months working on Ninja Couch Party while I'm in game design school. It's my first real, published game; and I've poured my heart and soul into every inch of its design and development. I dearly, truly, hope you enjoy.